Two women participate in the Listening Post project managed by New Orleans Public Radio. The project has helped facilitate conversations about housing, health and the environment in New Orleans. Photo courtesy the Listening Post Collective. Digital metrics alone don’t give a clear enough indication of how well a news organization engages with its local community, according to the team at Internews, a Washington, D.C.-based media development NGO that works to foster independent media around the world. So they started the Listening Post Collective, the goal of which is to provide mentorship, tools and other resources for journalists who want to better connect and engage with their local communities. Listening Post Founder Jesse Hardman said that the Internews team knew that lessons learned abroad could be applied to communities in the United States. 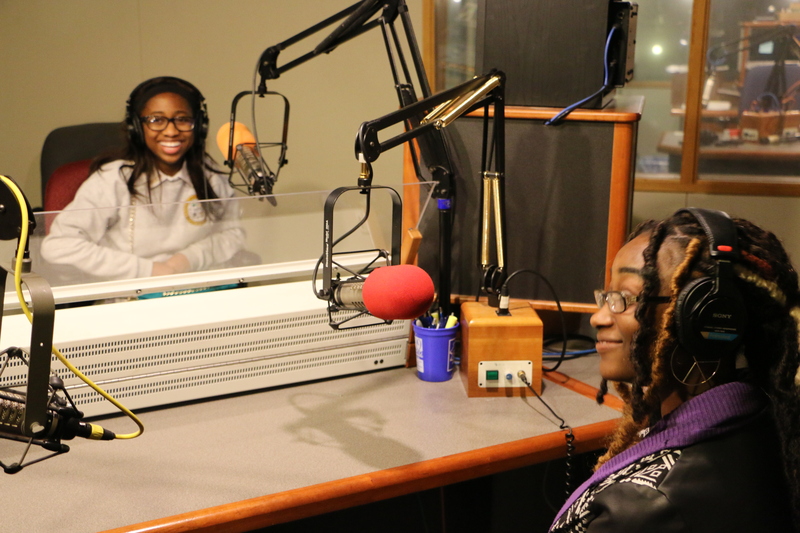 We spoke to the Listening Post team to learn more about their initiative. How does the Listening Post Collective work? The playbook is designed to engage citizens at the community level, making local news more responsive and relevant to community priorities and concerns. “Our playbook outlines our methodology that we’ve seen work and we’ve distilled this into a process that can be tailored and implemented in different communities or organizations with varied needs and goals,” Community Manager Burgess Brown said. The Listening Post also offers a toolbox for journalists, including a guide to setting up an SMS messaging system, information about setting up community recording devices and a guide to crafting questions. Why is engagement critical to the success of local media outlets? Measuring engagement in only digital numbers, such as the number of comments on a story or the number of page views on a website, only focuses on a newsroom’s existing audience and only on its online and mobile platforms, according to Program Officer Carolyn Powers. She said community engagement is essential for building local trust, increasing and sustaining audience and improving content. What are some examples of Listening Post Collective projects? A Listening Post participant speaks into a community recording device located in the Lower 9th Ward in New Orleans. Photo courtesy the Listening Post Collective. The Solutions Journalism Network gave the Minneapolis Star Tribune a grant to expand reporting on the local Somali community. In an effort to develop better strategies to engage with the Somalis, journalists began bringing a Listening Post Collective recording devices to public spaces in the area. Mercer University’s Center for Collaborative Journalism, Georgia Public Broadcasting and the Macon Telegraph created a collaborative media project, called the Listening Post Macon, that is currently focused on education in Macon, Ga.
What are the requirements to launch a project with the Listening Post Collective? Brown said the Internews team want the Listening Post Collective to support and connect media organizations already working on engagement projects, as well as make other tools and methods that Internews has tried easily accessible. For media organizations who would like to collaborate in a more formal way, they can contact Internews with information about their work and what kind of project they have or would like to create. Brown said Internews wants people to find whatever resources is most useful to them through the website and use it in whatever way makes sense to them.